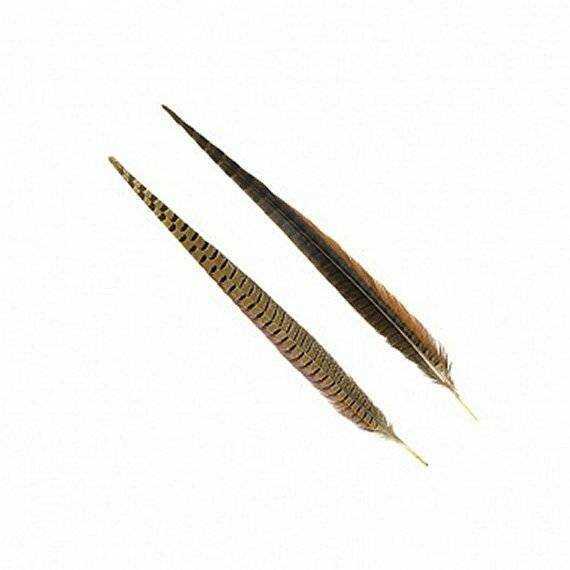 Two Top quality pheasant feathers! 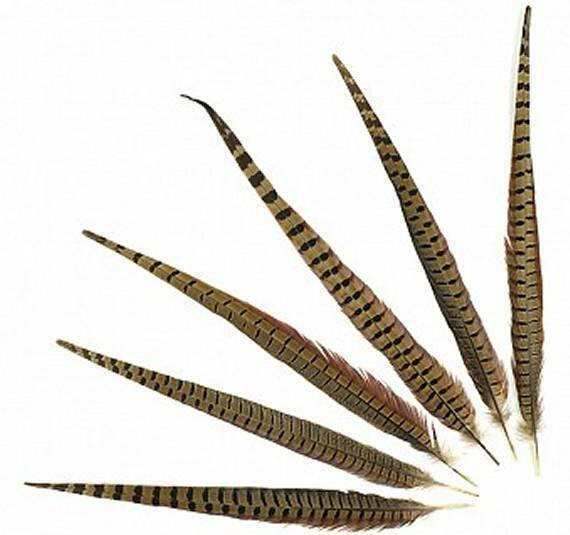 These natural color tail feathers are from the male ring neck pheasant. They will add extra pizzazz to your hat. Shake your tail feathers! These have been factory sanitized and range in lengths from 15" to 18" long. Two (2) for just $6 - Get a discounted price for 6 or a dozen! We ship these in a tube via USPS - Priority Mail - Insured for their safety and so that you can track your package on-line. The base price is $8 whether you buy 2 or a dozen. 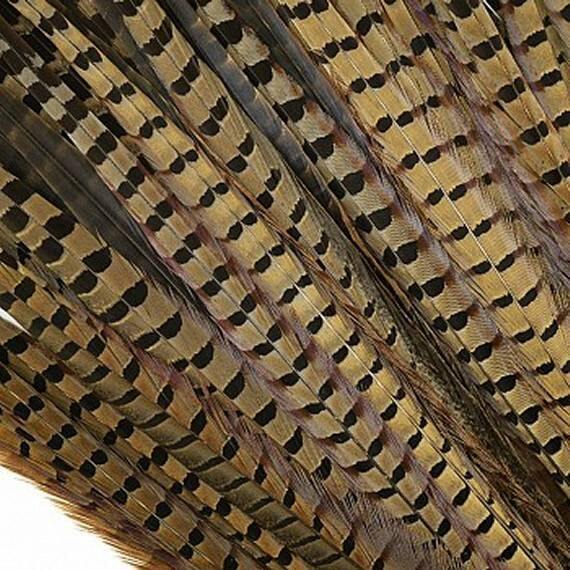 Let us know if you are going to buy a bunch of different feathers and we will combine the shipping costs. We buy our feathers from an eco-friendly company. Some are obtained by natural molting, others are by-products of other industries and would have otherwise been discarded. NON-REFUNDABLE ITEMS - Custom Orders, Sale Items, Worn Clothing, Hand-Strung Rosaries, Feather Items, Fans, Mink Flea-furs or other fragile items. NOTE - All sales are FINAL on Items bought for photo shoots, weddings, performances or any other one-time project/activity. Attractive feathers, packaged with care and perfect for decorating my cavalier hat. By ordering them at the same time as the hat I was able to save substantially on the shipping. My only challenge will be to keep my cat away from them! 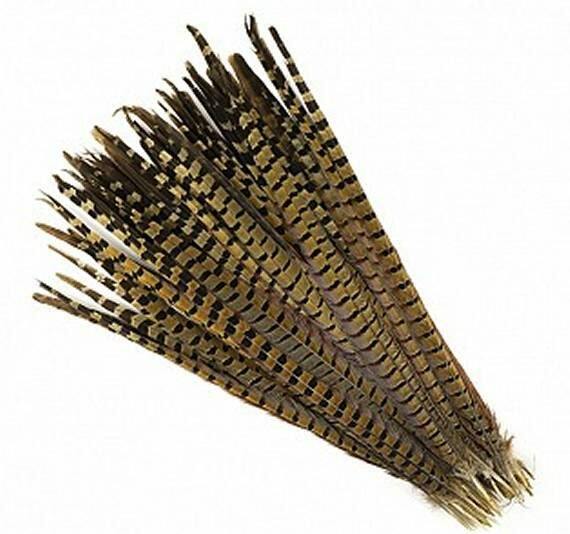 These are very high quality feathers, great for hats or just adding autumn touch to an arrangement of decorative objects. Wonderful to deal with, I really appreciated all the little extras done.